Yesterday, Tuesday 11th September, a delegation from Mitsui Global Logistics accompanied by logistics partner IWCL, visited Contship Italia’s terminals in Melzo and La Spezia. The Mitsui Group, one of Japans largest and founded toward the end of the 17th century, made a visit to Contship Italia’s facilities in RHM and LSCT, accompanied by logistics partner IWCL. The Contship Italia team welcomed both Mitsui and IWCL delegations by showcasing the main advantages of the Southern Gateway option during the meetings held in Melzo and La Spezia. 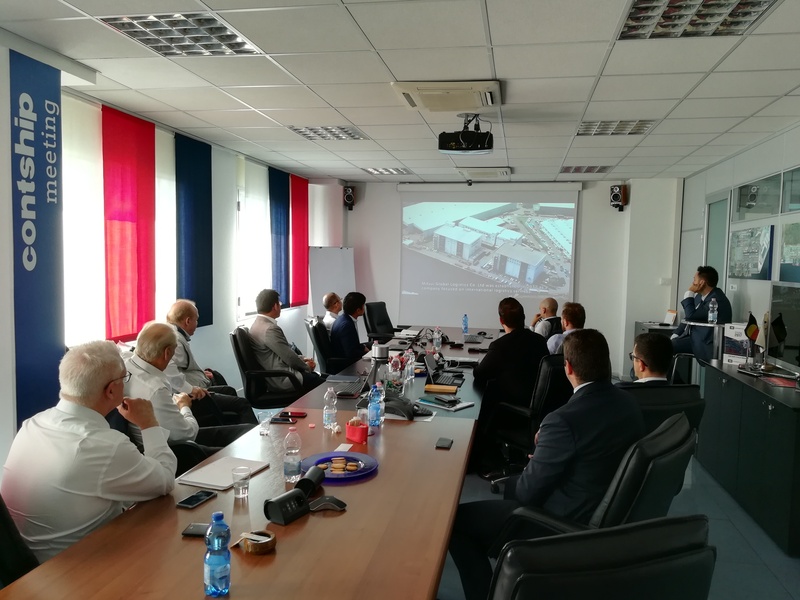 The team highlighted the benefits of Contship Italia’s integrated service offering through an extensive network from their intermodal hub in Melzo, providing access to Italian and South European markets via the La Spezia gateway. Visiting the gateway terminal in La Spezia was another opportunity highlight the connectivity from LSCT providing an alternative routing for cargo to Switzerland (daily trains to Zurich and Basel) and now southern Germany following commencement of the new Hannibal service Munich. The visit yet again underlines the growing demand and interest of cargo owners in the La Spezia homeport and demonstrates the Contship Italia Group is “Bringing the Ship to your Factory”.